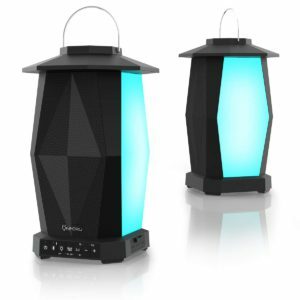 Our collection has the best Bluetooth Outdoor speakers on the market. These devices not only produce great sound quality outdoors but they are also extremely rugged and well built to handle the harshest elements that mother nature has to offer. Whether for outdoor adventures, parties or just outdoor entertainment, you will find the speaker you need. The Onforu Bluetooth Speakers are great for any outdoor activity. These handy LED speakers have an IPX5 rating so you won’t have to worry about any water damage when using in a garden, at poolside or even camping. 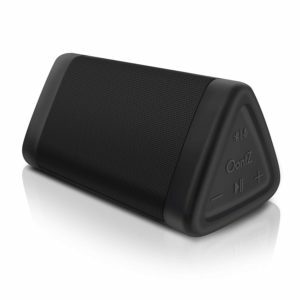 Each speaker has 6,600mAh battery capable of lasting up to 20 hours on medium volume or 10 hours on max volume. Once paired together you will be able to get up to 100 feet in paring range. You get 8 different colour lighting options plus you can also set the lights fade and pulse to the music. 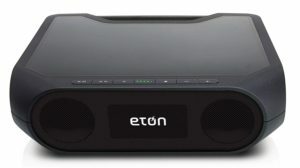 Each speaker has two passive radiators and two 12.5 Watt full range speakers that produce a very good sound experience both indoors and outdoors. The Eton Ruckus Xtreme is a handy Bluetooth speaker that is built for tough terrain. It has an IPX-4 splash-proof rating so it can handle a few splashes and light rainfall. Additionally, it has a shockproof shell that is rated to handle drops from up to 3 feet without incident. At the top, you will find a large solar panel to use the sun to charge up during the day and an internal battery to keep it going for up to 8 hours when the sun goes down. This very rugged outdoor speaker has an IP67 rating so it’s completely waterproof and dustproof and can be submerged in up to 3.1 feet of water. With one full charge, you will be able to get up to 10 hours of music play time or talk time. 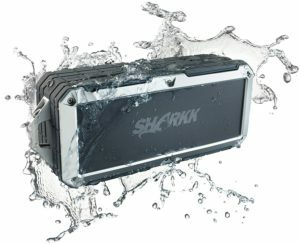 The Sharkk 20 has an extremely long Bluetooth range of 60+ feet of uninterrupted music streaming. You get great sound quality with thumping bass and loud clear vocals. 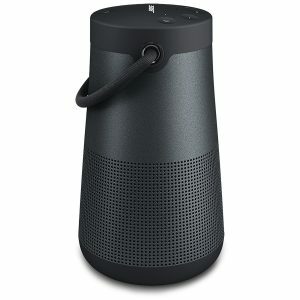 Additionally, this speaker has NFC so you’re able to tap and pair compatible Bluetooth devices. The Boompods Aquablaster Bluetooth Speaker is an Alexa enabled ultra-portable speaker that allows you to use Alexa voice assistant anywhere you go both indoors and outdoors. This rugged little speaker has an IPX7 rating so it’s completely waterproof and drop proof. It also comes with a few handy accessories which allow you to hang or wall mount it using the charging cable lanyard, wall mounting cup, karabiner or bike mount. The high quality 8 Watt driver delivers great sound quality with loud clear vocals and ample bass. 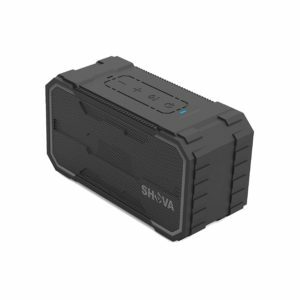 If you’re looking for a rugged ultra-portable speaker with voice assistant capabilities the Boompods Aquablaster is a great option. The Cambridge Soundworks OontZ Angle 3 is one of the best sounding affordable outdoor Bluetooth speakers on the market. It has an IPX5 rating which means it’s splashproof, rainproof and dustproof. 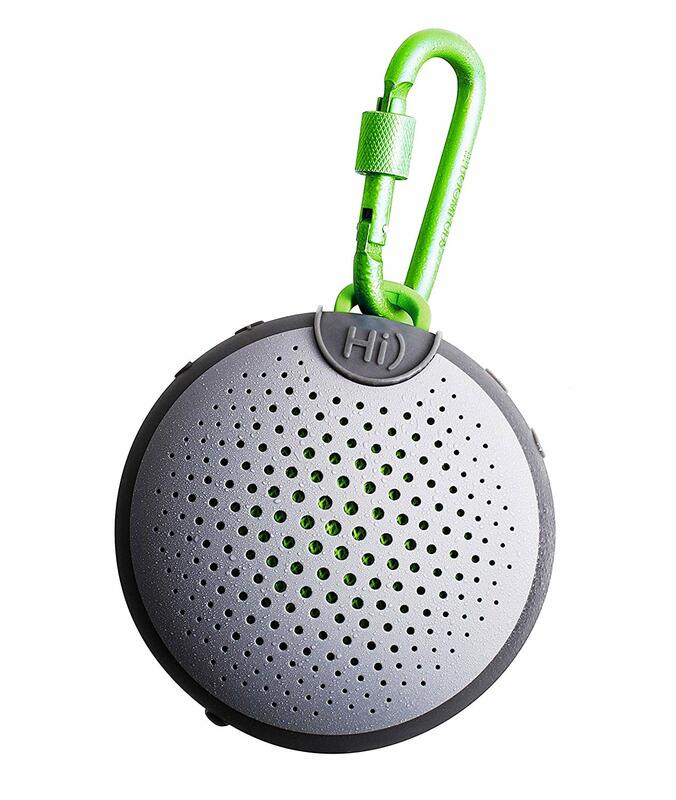 This speaker is perfect for use at the beach or the poolside, but cannot be fully submerged in water. The sound quality is were this speaker shine outclassing and outperforming a lot of the more expensive Bluetooth speakers on the market with clean mids, crisp highs and rich strong bass. You will be able to get up to 12 hours of play and up to 100 feet in wireless range. 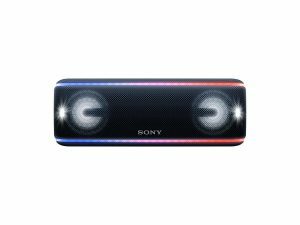 This is the newer version to the older Sony SRS-XB40 and just like the older version this impressive speaker was designed for a party atmosphere. It has an IP67 rating so it can be submerged in up to 1 meter of water. Sony has deployed plenty of lighting all over the front of the speaker for maximum entertainment. There are LED strips around the speaker, the dual 58mm drivers have lights that pulse to the music, and there are also 2 smaller lights on the sides of each driver that flashes rapidly. There are two Sony apps available and they give you EQ options as well as control over your lighting display. The XB41 delivers quite an impressive audio experience with deep strong bass with balanced mids and highs. 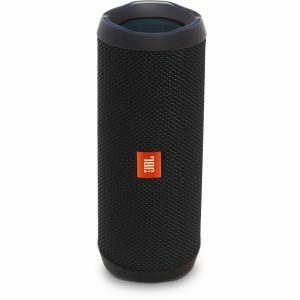 The JBL Pulse 3 is the best LED Bluetooth speaker on the market today. It’s quite bigger than the older Pulse 2 so if your looking for portability the size and weight might be a turn off for some. The lights can move according to your music, to the beat a song or you can customize the lighting to the way that you want. When charging the Pulse 3 you will get green indicator lighting and when pairing the entire speaker glows blue. 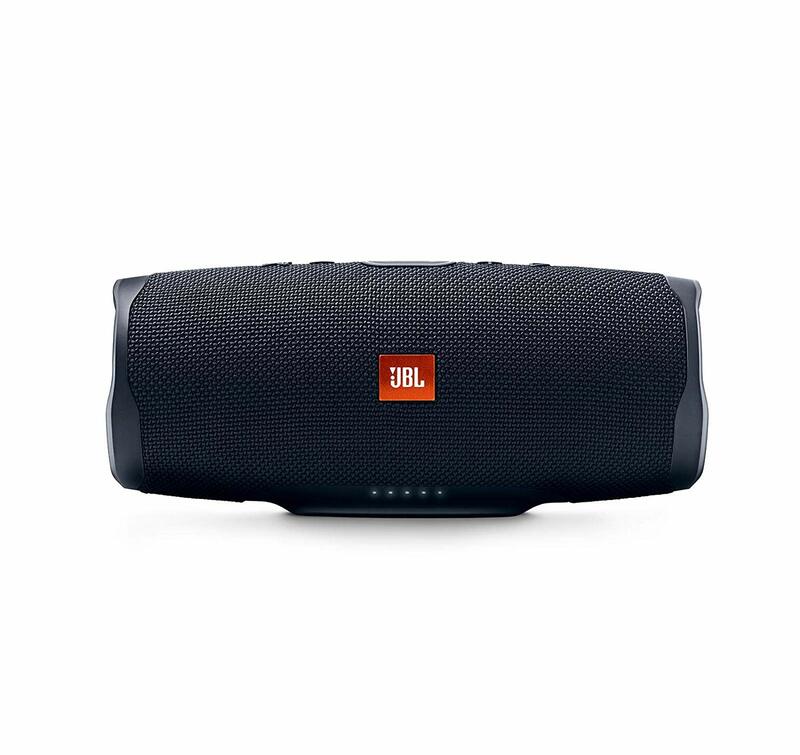 Using the JBL Connect app, you will be able to take a photo of a color and make that same color show on the speakers. The app will also give you a lot more control options for the LED lighting as well as the equalizer. The Pulse 3 is IPX7 certified which means it can be submerged underwater for up to 30 minutes to a depth of 1 meter. Like most of the other JBL speakers your able to mix and match over 100 JBL Connect Plus speakers together and have them all play at the same time to enhance your audio experience. It offers 15 hours of play time with over 60 feet of wireless range. Even though you can take this speaker anywhere it performs best in small and medium-sized rooms. The sound quality is one of the best around, it delivers good ample bass with clear and detail vocals. This list would not be complete with out the Bose SoundLink Revolve Plus. Its not the cheapest on this list but it one of the best on the market. The Revolve Plus offers loud clear and deep sounds and since its Bose, it’s hard to pinpoint where that sound is coming from when it’s in a room. This 360-degree speaker was engineered to spread sound in every direction. It has 16 hours of playtime and ipx4 water resistant which means it’s splash resistant. 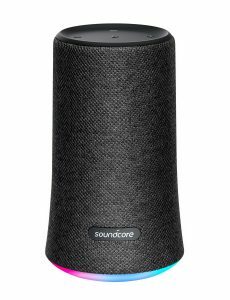 You can pair it with 2 SoundLink Revolve speaker in Party Mode. For the audio fans out there this small and rugged speaker with a highly efficient transducer, dual passive radiators, and an Omnidirectional acoustic deflector that Bose is known for. The Bose SoundLink Revolve Plus is for the ones who want an excellent 360-degree Bluetooth speaker that will fill your room will sound all around.